Adela of Normandy was born in late 1067 or early 1068 as the daughter of William the Conqueror and Matilda of Flanders. Not much is known of her life before her marriage, unfortunately. She was probably well versed in Latin as she was praised for her ability to read and compose it. She was probably entrusted to the nuns at Holy Trinity in Caen where her elder sister Cecilia also lived, and it is quite possible that she sometimes joined her mother’s household. Adela next appears in the historical records as the wife of Stephen-Henry, the eldest son of Thibaud III, Count of Blois. Even the date of her marriage is not exactly known. They were married at Chartres, probably in 1083. The union served to confirm the alliance between the Thibaudians and the Normans, which had been established in the 1050s. Upon the death of her father-in-law in 1089, her husband succeeded as Count of Blois. By then, he was already in this early forties while Adela was around 22 years old. Despite their age difference, his surviving letters to her suggest that the relationship was one of trust, respect and perhaps even affection. While Stephen was a crusade, he wrote to her two surviving letters in which he addressed Adela as “sweetest friend and wife” and also “my beloved.” They went on to have at least six children, though perhaps even eight children together. She was quite ill two or three times during her years as Countess, during one occasion she suffered from high fevers. 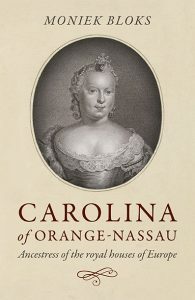 Adela and her husband sometimes issued joint documents suggesting that she was quite involved in the county. This could be because her husband acknowledged her abilities or even just the fact that as a King’s daughter her social rank was more authoritative than her husband’s. Perhaps he even considered the fact that she might be left as regent for their young son due to their age difference. She acted as regent twice when her husband went on crusade. He probably felt safe enough to leave the county in his wife’s capable hands, and by then she had given birth to three or maybe even four sons, leaving the succession clear. Her personal wealth also provided for the large costs involved with such a long journey. Her documented actions during his first two-and-half-year absence suggest that she behaved decently and honourably and that her actions were not questions by male contemporaries. 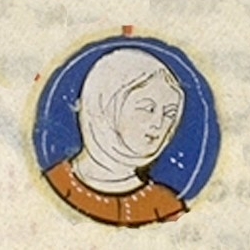 Her husband was killed in 1102 on his second Crusade during the Battle of Ramla, though the news did not reach France until the following year.